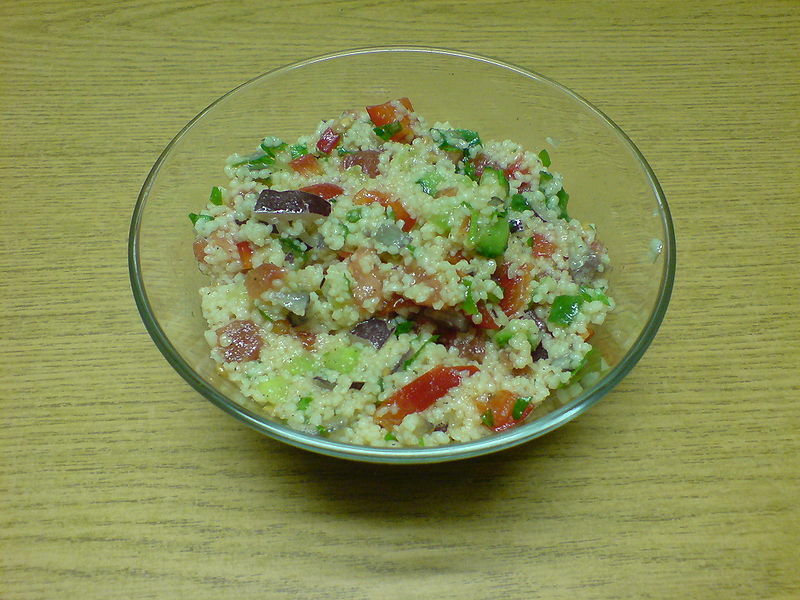 Tabbouleh (also tabouleh or tabouli) is a Levantine salad dish. Traditionally a mountain dish from the Eastern Mediterranean, it has become one of the most popular Middle Eastern salads. Tabbūle is a Levantine Arabic word meaning literally "little spicy". Like hummus, baba ghanouj, pita and other elements of Arab cuisine, tabbouleh has become a popular American ethnic food. 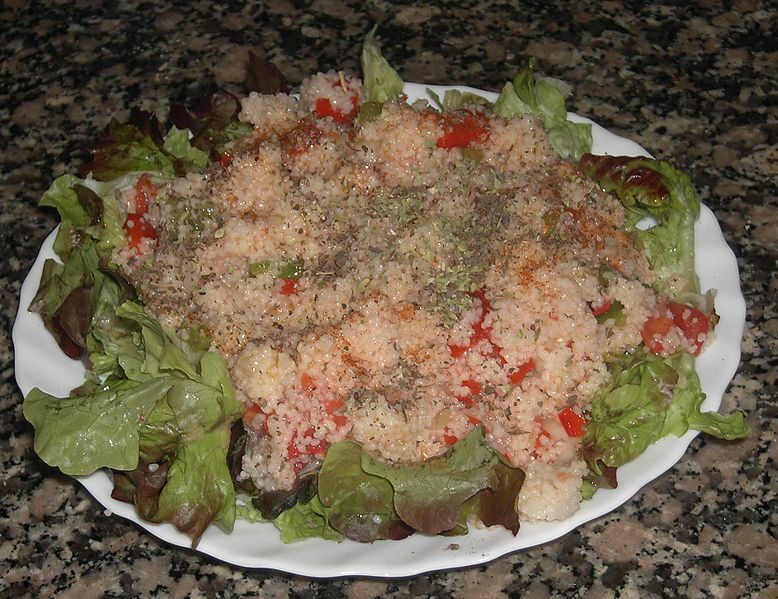 Tabbouleh is also popular in Colombia, Brazil, Argentina and Mexico due to the large middle eastern populations. Great as a salad, or as a meal in itself. Serve with falafel.